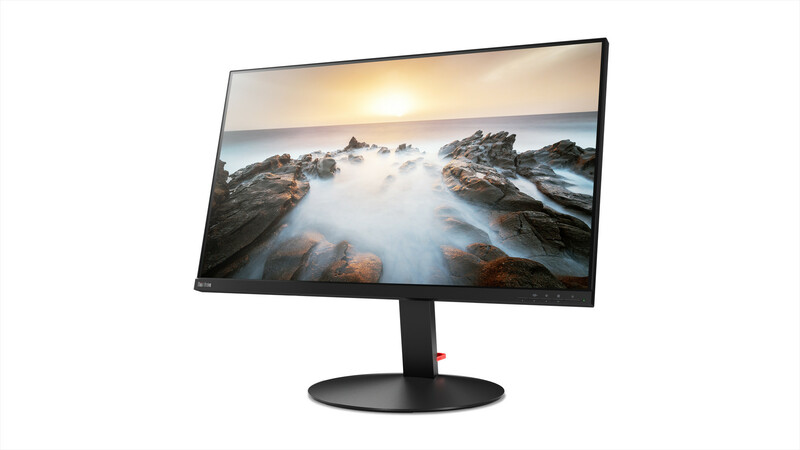 Lenovo introduces the launch of various models of monitors in 2018. It speaks about its launch of Lenovo ThinkVision monitors and ThinkPad series. The new year is about getting a lot of things done. But for companies, it is also about making their CES announcements. Starting with 2018 also, unlike the previous years, Lenovo spoke not only about its laptops and tablets but also declared a pair of ThinkVision monitors. Lenovo spoke about its ThinkVision monitors that actually look amazing. The ThinkVision X24 has an ultra-thin monitor, 4mm thin and 1.1mm bezels. The monitor is equipped with a full HR IPS display with 96% sRGB colour gamut support and give a broad viewing angle experience. This monitor is ready to launch in January 2018 at just $249. Lenovo introduced another set of monitors, the ThinkVision P32u having a UHD 4K display. It has a 32 inch almost edgeless display. The monitor is massively popular for its multicolour capability. It begets a flexible stand letting the user tilt, lift, pivot and swivel enjoying his maximum comfort. Other features include Thunderbolt 2 in and out ports with the monitor. The model will be available from March 2018 costing $1,349. The third monitor Lenovo announced is the ThinkPad Ultra Docking Station that has a one-touch, and slide-to-connect feature added. These features give the users full connectivity options with the monitor. It has keylock security with the view to provide it with a physical asset protection. Moreover, the monitor will be available in three different sizes supporting the 12-inch, 14 inches and 15-inch Lenovo ThinkPad laptops present in the market. The basic 90W model will be available at $199, pro 135W at $249 and the 135W model at $299. Lenovo has been one of the most competitively emerging brands in the market. With its successful launches of smartphones, tablets, and laptops, the company has made sure to get to the top list with its most innovative monitors. Lenovo’s rise in the monitor game has been quite good Preirna. With the big players like Dell and other big shots, it has been a tricky market to get into.